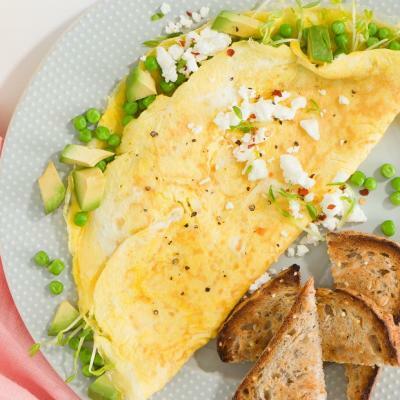 Try a Greek omelette for your next breakfast or brunch. 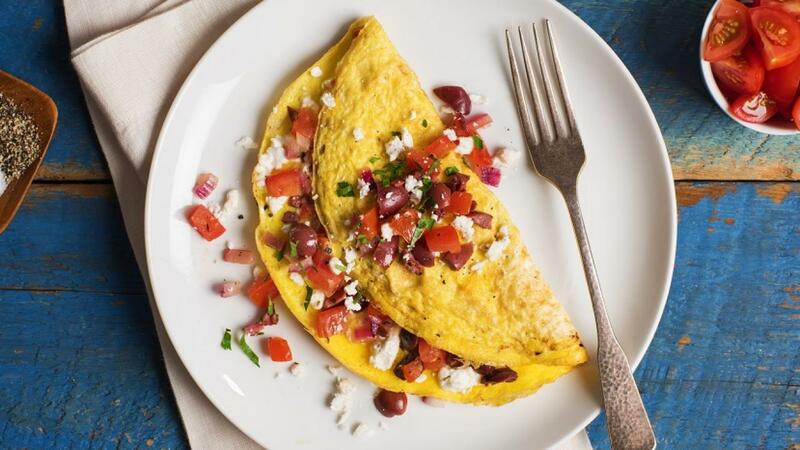 Filled with chopped tomato, feta cheese, and kalamata olives, this is a quick and easy recipe to get your day started right. Whisk eggs, water and pepper in medium bowl. Set aside. Spray non-stick skillet with cooking spray. Heat skillet over medium heat. Add onion; cook, stirring frequently, for about 1 minute. Add tomato; cook for 1 minute. Stir in feta cheese, olives and oregano. Set aside. Spray 8-inch (20 cm) non-stick skillet with cooking spray. Heat skillet over medium heat. Pour one-quarter of egg mixture into skillet. 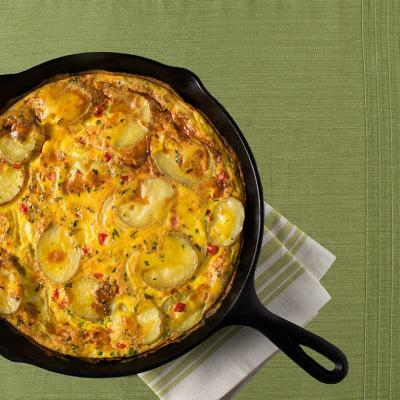 As eggs set around edge of skillet, with spatula, gently push cooked portions toward centre. Tilt and rotate skillet to allow uncooked egg to flow into empty spaces. When eggs are almost set on surface but still look moist, cover half of omelette with one-quarter of filling. 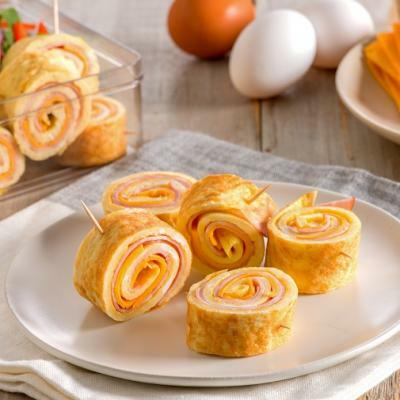 Fold unfilled half of omelette over filled half. Cook for a minute, then slide onto plate. Repeat procedure to make 3 more filled omelettes.